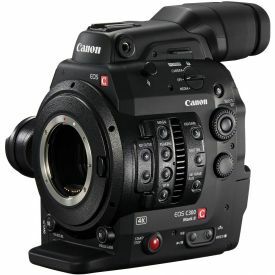 Canon's EOS C300 series of cameras have been very popular with our clients. Now in the C300 Mark II, you have internal 4K recording, an impressive 15 stops of dynamic range and 120fps slow motion in full HD. We carry these cameras in PL and EF mount, so please be sure to specify when ordering.